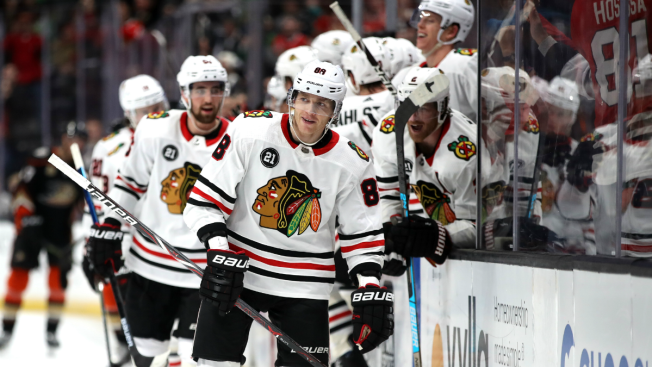 Patrick Kane #88 of the Chicago Blackhawks reacts after scoring a goal during the third period of a game against the Anaheim Ducks at Honda Center on February 27, 2019 in Anaheim, California. That's because the team will open the regular season against the Philadelphia Flyers in the Czech Republic capital of Prague on Oct. 4, the Blackhawks said in a statement. “Similar to the last time we played in Europe in 2009, there is a lot of excitement surrounding the Blackhawks and this is a great opportunity to share that passion with our fans across Europe," he added.